1.Long press the Multi-function button for 5 seconds at off mode, and voice prompts "ready to pair"when the blue light flashed speed and continued. 2.Activate the Bluetooth on mobile phone, search and add new Bluetooth device from menu. 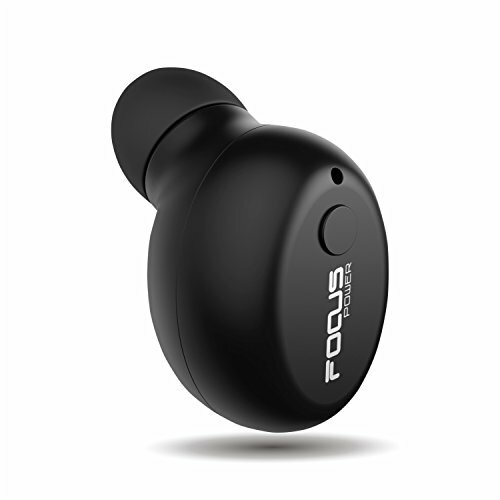 3.Select "FOCUSPOWER-F10" from Bluetooth device list on mobile phone to connect with the earphone.Voice prompt "Connected"is given after connection is completed. Now you can make phone calls and listen to music via your mobile phone. 2.If your phone can't search the bluetooth, please kindly try to restart your phone,this bluetooth can work for most bluetooth device. 3.The bluetooth headset is only one, not a pair but fit in either of ear. 4.The size of this bluetooth is derived from the test date of our engineers. It can be suitable most person's ear. Please kindly understand it could be not suitable for you completely. We will be much appreciate if you would like to contact us when you find the earphone is not fit for you. If you have any questions about this product by FOCUSPOWER, contact us by completing and submitting the form below. If you are looking for a specif part number, please include it with your message.